With special focus on quality education, Germany is increasingly becoming one of the famous educational hub for students in Europe. The country’s student-friendly policies have also contributed largely for a steady inflow of students from across the globe. Policy and Institutional emphasis on Study in Germany programs is helping students from all nations. Almost all universities in Germany ensure minimum of tuition fees, offering a major differentiating factor for students who like to complete their studies at an international destination. To make it easier for students, here, we have prepared a list of scholarships for them who would like to study in Germany and learn the culture, language and heritage of the country. From post-doctoral researchers to senior scientists, the Hanse-Wissenschaftskolleg (HWK) in Delmenhorst awards fellowships to highly qualified scientists of all career levels. 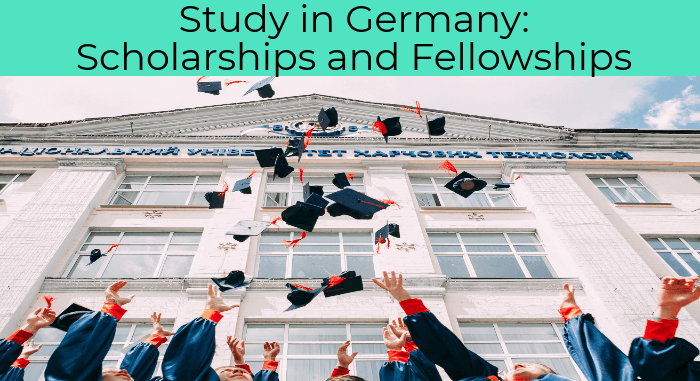 Depending on the Fellowship project, Regular Fellowships and Junior Fellowships can be awarded for a minimum of three months and a maximum of ten months, to study in Germany. To be eligible for this fellowship, a candidate must complete a doctoral degree more than 5 years ago and should have considerable professional experience in science and research (for regular fellowships) collaborations with colleagues at the regional universities and research institutes. Being introduced by the University of Mannheim, the Deutschland Scholarship, Germany 2017-18 provides € 300 per month in which € 150 are provided over by the government and the other half is acquired by the University itself through private companies, foundations or any individuals. It is a merit-based scholarship program. Enrolled students of all fields who are pursuing a graduation, post-graduation, or state examination degree within the standard period of study in Germany at the University of Mannheim can apply for this scholarship. This fellowship is offered by the University of Würzburg, Germany for PhD fellows for three years. GSLS Fellowship includes financial support as well as a budget for travel costs, consumables and similar expenses. One can apply for this fellowship in two stages, starting with a screening of all applications submitted followed by interviews (either personal or through video chat, depending on the location of the applicant). As part of the benefits, the fellow will get research grant covering research expenses of PhD project and travel money to attend conferences (5000 EUR/year) granted for at least one year, to study in Germany at University of Würzburg. To be eligible for this fellowship, the applicant must have passion and should have practical experience in research. The applicant should have an excellent university degree obtained in a life sciences subject within the last two years, usually an M.Sc. or Diploma; if graduation is expected by January 2017 at the latest you may apply. The applicant must have willingness to learn basic German (training provided) and should have eagerness to work in an interdisciplinary and international environment.